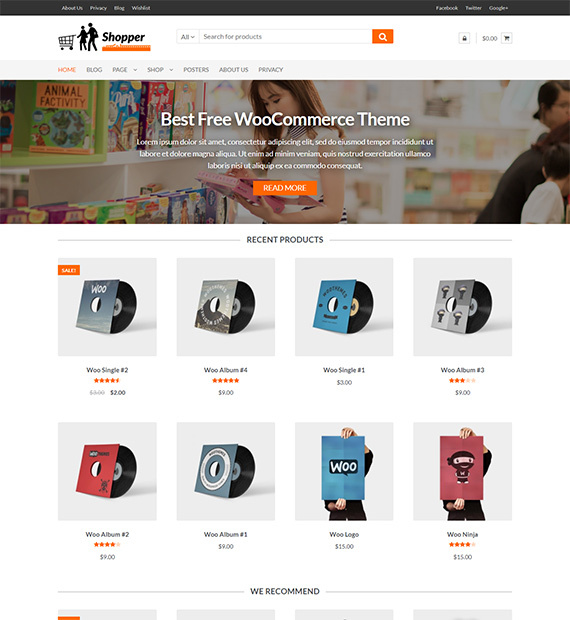 Designed and brought to you by the ShopperWP, Shopper, as the name defines, is an eCommerce and business WordPress Theme featuring clean and chic design to it. The fully responsive and translation ready theme adds the extra appeal to your site making it intriguing and interesting for your users when they visit your site. Additionally the theme is also SEO friendly and Structured data integrated which subsequently helps in increasing the traffic on your site.